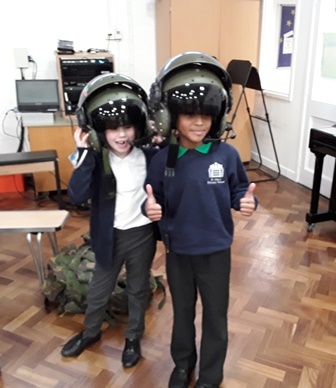 Today we were lucky enough to be visited by CPL Gavin Colbourne and SAC Sam Rowe from the RAF, who came to talk to us about their roles in the Air Force whilst letting us try out some of their kit! 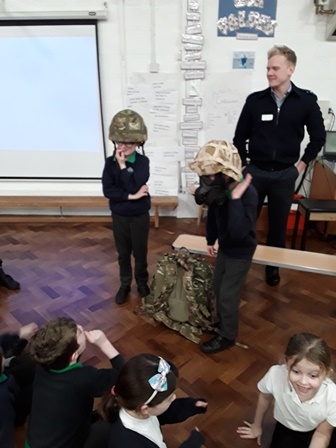 We were amazed by the size, weight but surprisingly comfortable nature of some of the head gear. 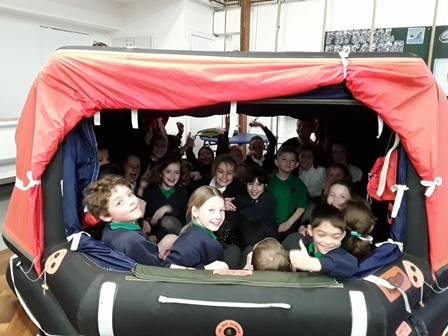 We also enjoyed the newly discovered game of ‘how many children can you squeeze into a life raft’ – the answer being an entire class! 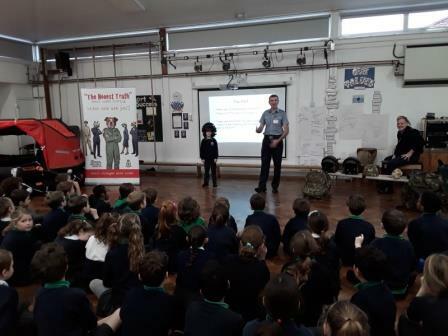 In addition to the fun and games we learnt a great deal about the huge variety of roles and opportunities available within the RAF and how to stay safe within vehicles. 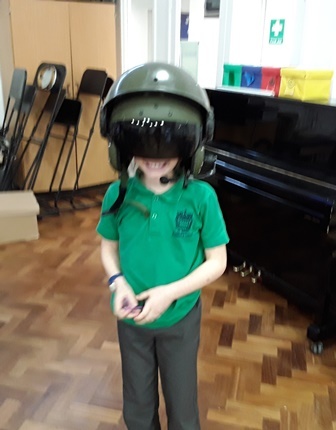 Year 3 and 4 were also incredibly grateful for the opportunity to try out various scenarios in an off road ambulance!